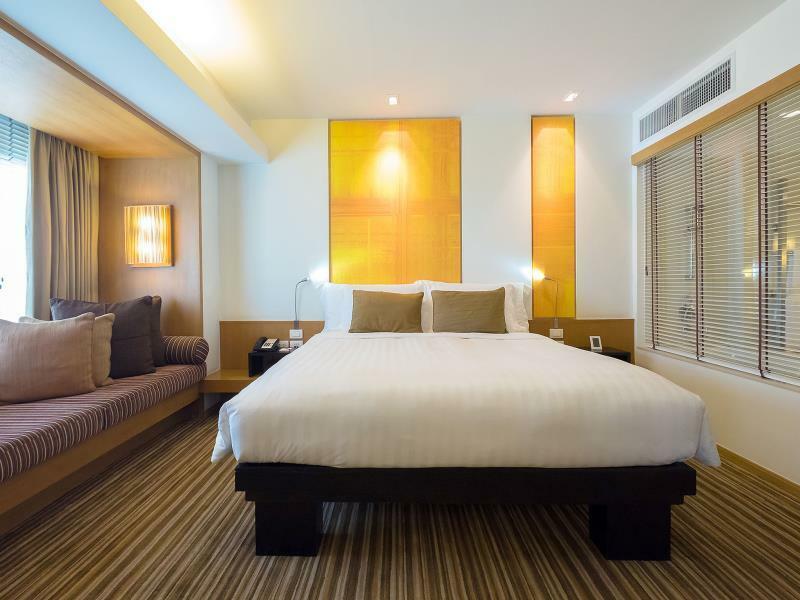 Have a question for dusitD2 Chiang Mai? "Staff are attentive, friendly and helpful." 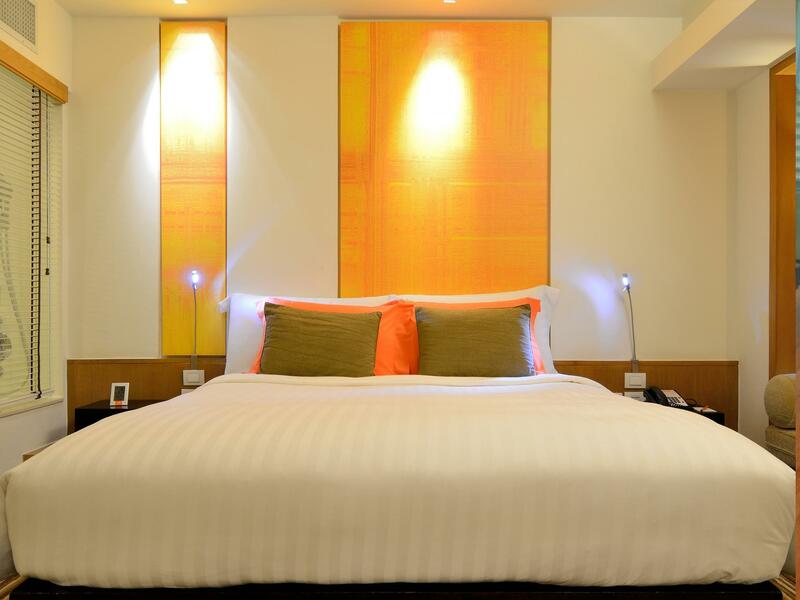 "Strongly recommend this hotel , nice n polite staffs, good location and clean room"
"This is our favourite hotel in Chiang Mai as the location is central to where we usually hang out." "The room was amazing very comfortable with unique and intere..."
Guests will find all of the finest amenities in each of the 130 rooms in dusitD2 Chiang Mai. All rooms have a hair dryer, telephone, voicemail, air conditioning, tea/coffee maker, as well as other amenities. In addition, this 5-star property offers a safe box, car rental, dry cleaning and laundry, conference rooms, 24-hour room service, and nursery. After a day of work or exploring, the outdoor pool, fitness center, and spa are some of the ways to unwind. Everything the hotel does is centered on the guest's experience, ensuring comfort and relaxation. 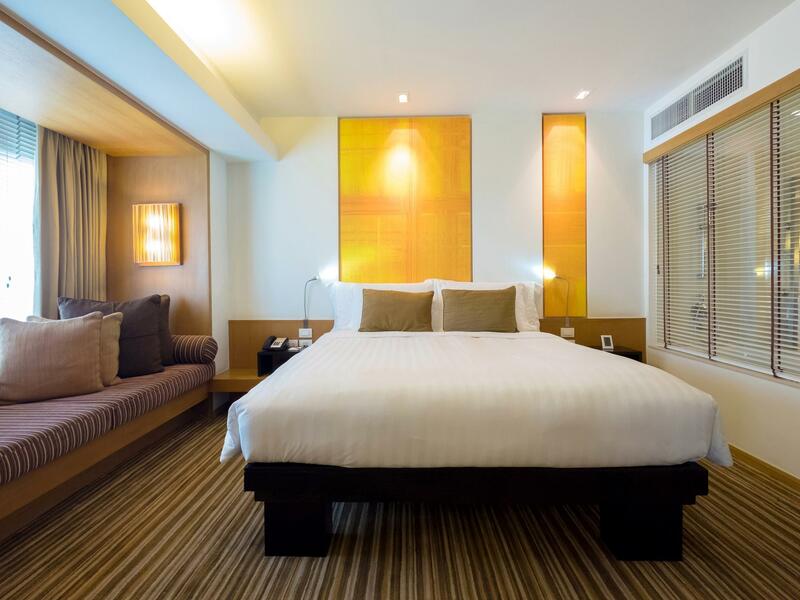 dusitD2 Chiang Mai can be easily booked with our secure online booking form. Simply enter your dates and click to proceed. "Good food and friendly staff"
- Business center facilities with administrative staff to assist. - Complimentary internet usage during stay. - Complimentary pre-dinner drinks and hors d'oeuvres from 05:30 PM – 07:30 PM at club lounge 7th floor. - Daily complimentary tea, coffee and soft drinks from 06:30 AM – 11:00 PM at club lounge. - 20% food and beverage discount at our outlets excluding room service. Room was fine, staff friendly and helpful, location was great - but all were let down by a dismal breakfast. Poor choice and food was barely warm. So many hotels let themselves down in this department. This is NOT a 5* hotel, I'd suggest it's a 3*, perhaps 4* if you're being generous. If you want a 5*, there's one opposite (although more expensive). After complaining I was moved room 3 times and ended up in a suite, so I experienced a range of rooms. I can safely say that all rooms are in major need of refurbishment. Photos look good, but the reality is different, the rooms are tired and poorly maintained. Also, the hotel lacks any atmosphere. The lobby area is dead, the bar is too expensive and uninviting so it's never busy. And the pool needs to be completely refurbished, it's depressing. I didn't have breakfast as it's so expensive. It's almost as if the hotel don't want guests to take breakfast, or if they do they'll be ripped off. Staff were fine. Location is near the Night Market but I'd say there are better areas in Chiang Mai you'd prefer to stay. This hotel can be very expensive when there is little availability and it's not worth the money - I'd look elsewhere. We had a suite with separate bedroom. It was good size with shower and tub. Very clean bed very comfy. The only gripe we had was a stuffy smell but we bought a air freshener and it was fine. It’s close to bars, massage, restaurants, night market. Service was impeccable! We were given breakfast boxes to go due to our 4:30am departure, they received mail for us, had requested towels promptly waiting for our elephant/rafting trip and more. Above all, was the integrity as they have a policy to not enter your room if a guest forgets to secure all their valuables as we did. Great location in town. Rooms are clean. We would definitely recommend, especially given the value, service and honesty! Location is right in the heart of the city. Staffs are very friendly, courtesy and helpful in giving advices what to do and what to see in Chiang Mai. Happy for the choice that we have chosen. I love my stayed at Dusit 4 days, 3 night from 18 Nov. Everything was perfect! I choosed club room & the room is spacious & clean. I accidently left my money in my jeans pocket when i sent for laundry. Suprisingly, the cleaner called me & return my money. TQ! I would definitely recommend this hotel to my friends. The first i was disappointed when we arrived at the hotel about 9 pm, coz my friend already called the hotel to put the extra bed for one of our rooms before we arrive but the fact it was not ready yet so we have to wait for them to prepared n put it. On the other hand I appreciated the honest house keeping who clean my room, at the time I left money about 16.000 baht n I forgot about the money so just left it on the desk but when i came back it was still there. Thank alot for your honesty. Club room was clean big enough for two. Location good for night bazaar and restaurants easy to get around. Staff friendly and helpful. Buffett breakfast had a good selection. Club benefits free sod drink coffee all day, alcohol and small selection of snacks 2hrs in the evening. Pool ok. Gym on top floor good. Loved our stay, staff was friendly and the room was nice + clean. Location is definitely superb, near Halal food, laundry services just outside and so is the night market. Would definitely be back to stay here again! The hotel is my first place I have stayed in Chiang Mai and it is good enough for me to stay here again. It seems to be close by to night markets as well as many different eateries. The tours we booked each day picked us up in the lobby without problems. The room we booked was quite small. I would opt for a larger sized upgrade on my next visit. Otherwise, the water pressure in the shower is great and the bed was so incredibly comfortable. The staff was excellent, especially one young gentleman at the door. He would see me coming and ran to get me an umbrella because he was concerned for us, as it looked like it was going to rain. A few minutes after dinner, it started to pour buckets. He also helped us look out for the correct tour van and directed the guides to where we were sitting in the lobby. There are alot of tours departing from this hotel. For your first visit, this hotel fits the bill. Hotel looks elegant with a pleasing decor. I was led to the 7th floor for a private check in as my room is on the floor. There's even a lounge for guests use. Coffee and soft drinks available for free all day long. Excellent service. On my last night water seeping from shower ceiling. And i was moved to a suite room. Breakfast is good. Staff service is commendable. Night market street is only less than 100 meters away. All in this hotel is really worth the money. Dusit D2 really stood out with its friendly and professional staff - from the front desk, to housekeeping, bell hop, waitresses and cooks at the morning breakfast egg station. The room was spacious, clean, with nice hot shower. Location of the hotel was also fantastic, with the night bazaar just right next to it. I mostly hired private drivers via Grab for places that require transport and there was no hassle at all. Would definitely stay at Dusit D2 again! The hotel is literally behind the massive night market that happens every night but isn't noisey at night. The staff are all super helpful and very polite and kind. It's nice and clean and well looked after. Definitely recommend. The front desk is lovely, but there were twice when room service came to my room wrongly. Apparently they have no idea which room they were delivering to. The walls are also not v sound proof, can hear conversation from the room next to us. Hotel has excellent location.Just 2 minutes from night market.Even river front cafes and bars are 10 minutes walk.The room was very clean.The USP of the hotel is the exceedingly helpful,smiling and friendly staff.On arrival we were escorted to our room by Anny Shufflebarger who ensured everything in the room was in perfect order and made us feel absolutely at home.I had a minor injury in my knee which was bleeding.Tippovan,the housekeeping staff went beyond the call of her duty and provided first aid immeditely.The hotel was running various schemes on food especially breakfast 'One for One Free'. For 650 bahts Buffet Breakfast for two was worth every penny.Having stayed at Dusit Thani in Dubai recently and now at Dusit D2 I am overwhelmed with their hospitality.My first choice of hotel in any city would be Dusit,if it has a branch in that city.Would highly recommend this hotel to anyone visitng Chiang Mai. Really great hotel that may become my go-to in Chiang Mai on future visits. Nice rooms, wonderful staff. The pool is well-maintained, and the onsite fitness facilities are among the best I've seen in any hotel. And the wifi throughout the hotel was excellent - streamed a lot of videos with no problems. The D2 has one of the best locations for those doing the Night Bazaar in Bangkok. It's price point sits significantly below some of the other high end spots, while providing reasonably good services. The feel is more of a modern, chic hotel. The rooms are spacious, and the service (particularly the concierge for making bookings) was very good.